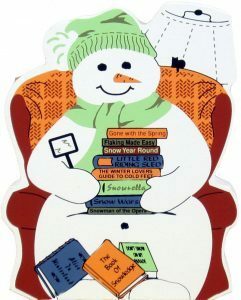 New Canaan Library Winter Book Sale will take place on Friday, December 14th, 9:00am - 5:00pm, December 15th, 9:00am - 5:00pm, and Sunday, December 16th, 12:00pm - 4:00pm (1/2 price). There will be early admission for $15 on Friday from 9:00am - 11:00am. Winter is the perfect time to catch up on reading and New Canaan Library's winter book sale answers the call. It's also the perfect time to purchase a book for holiday gift-giving. From bestsellers to classics and history, and a vast selection of music CDs and DVDs, the Library's semiannual book sales offer excellent choices. Donations of books and other items from the community have kept volunteers busy and the inventory high. As much as donations are appreciated, the Library requests that donations now be held until early January. Be sure to also visit the Book Sale's eBay sale of special, collectible books. The eBay Library sale is open year-round; follow the Library's eBay profile now to ensure you don't miss anything. Visit New Canaan Library online here for additional information.